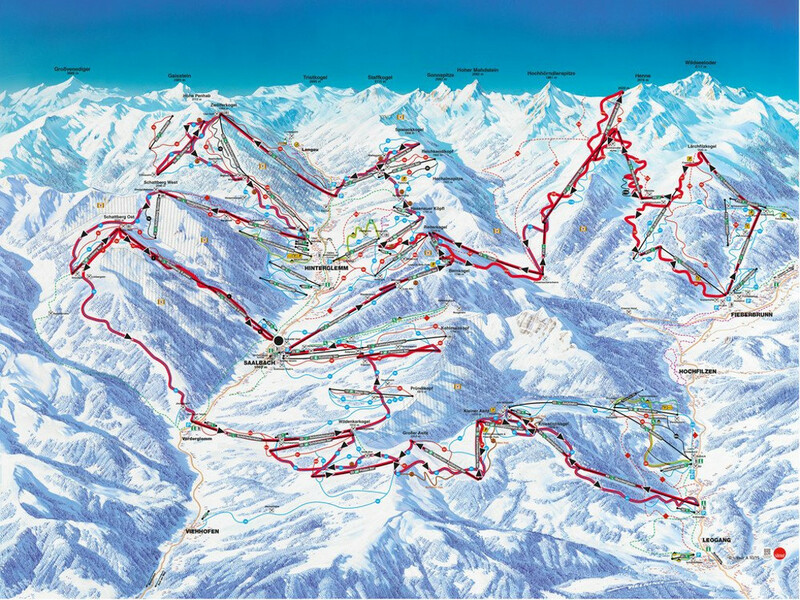 The Skicircus Saalbach Hinterglemm Leogang Fieberbrunn is now one of the largest linked ski areas in Austria thanks to the relatively recent addition of Fieberbrunn, renowned freeriding paradise, via the Tirol S gondola. 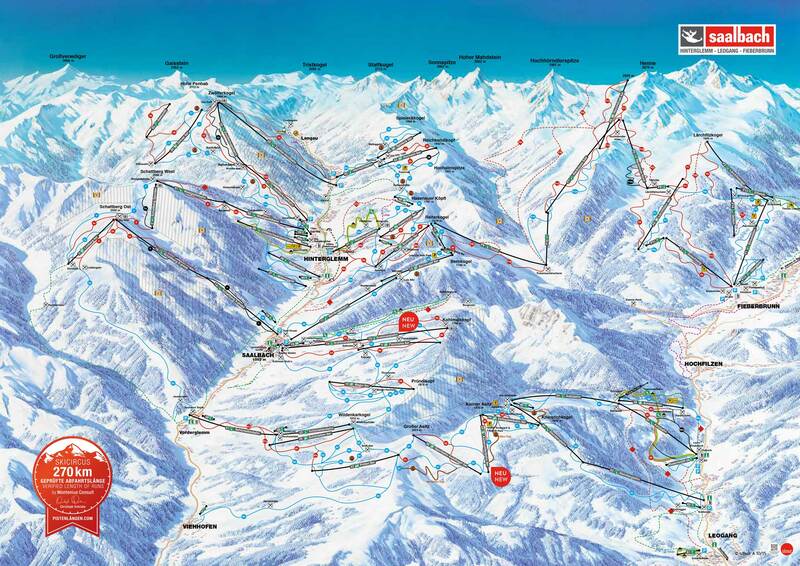 In the Skicircus you'll find everything you need, from endless skiing on 270km of slopes to a lively après-ski scene. Each village, from Saalbach-Hinterglemm to Leogang to Fieberbrunn, has its own unique character and something different to offer. 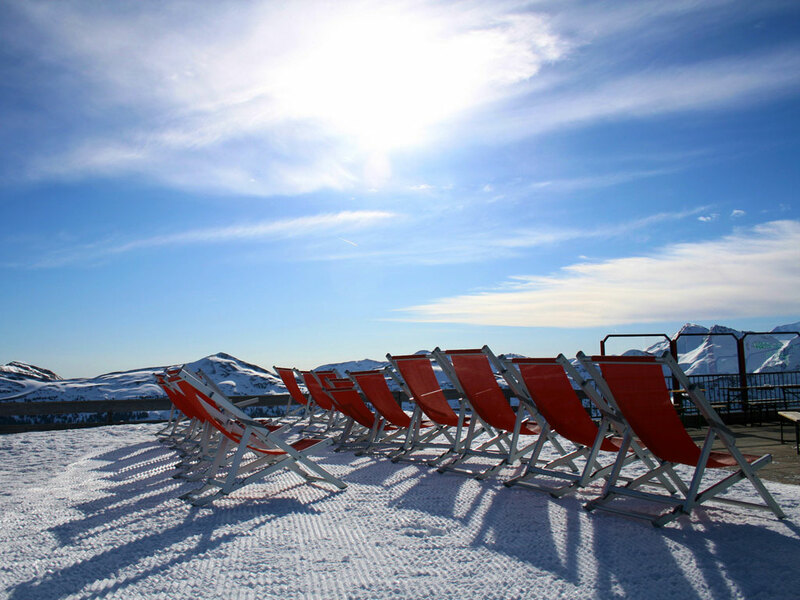 An excellent winter sports destination whether you want to relax, party or shred all day long! 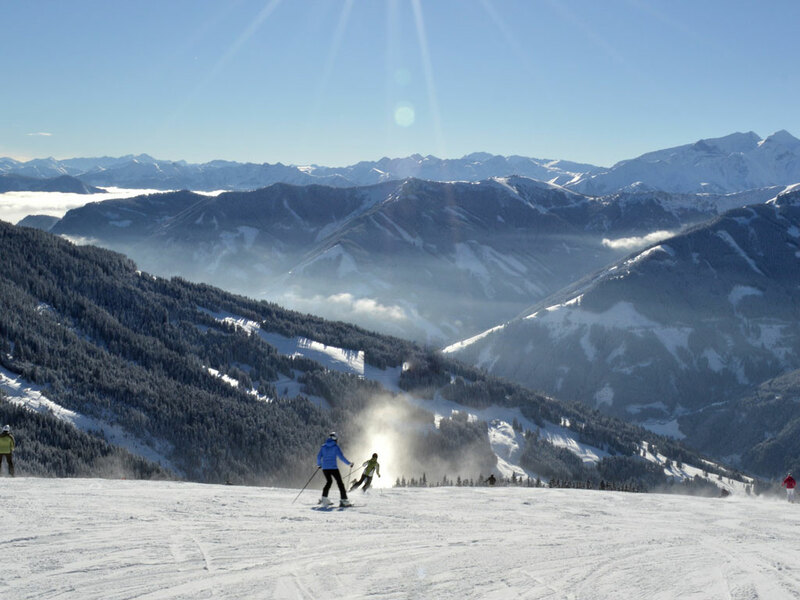 The magnificent Skicircus Saalbach Hinterglemm ski area is renowned for its great range of ski slopes and its efficient lift network that connects Saalbach-Hinterglemm, Leogang and Fieberbrunn. The ski area is particularly suitable for beginner and intermediate skiers; with lots of wide blue and red slopes perfect for practising. 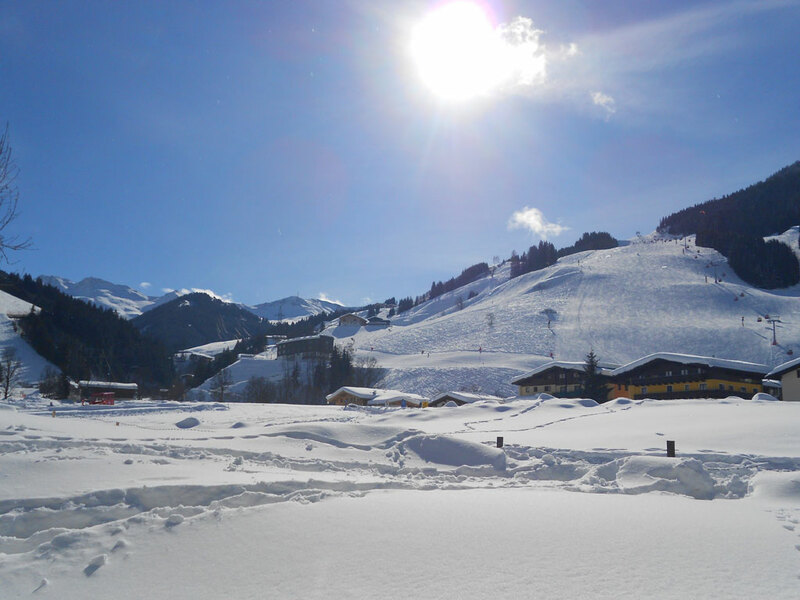 The more demanding ski fanatics can enjoy themelves on the 4km descent down towards Schattberg, or tackle The Challenge, a 65km-long ski circuit that takes you to every corner of the Skicircus Saalbach Hinterglemm Leogang Fieberbrunn! Aside from this the Skicircus also offers many other exciting pistes, including the Jausernabfahrt, the Nordabfahrt and the Maisabfahrt. Despite being a relatively low-lying ski area (the highest point is 2200m), serious investments in artificial snowmaking equipment have enabled the Skicircus to offer reliable snow cover throughout the ski season. 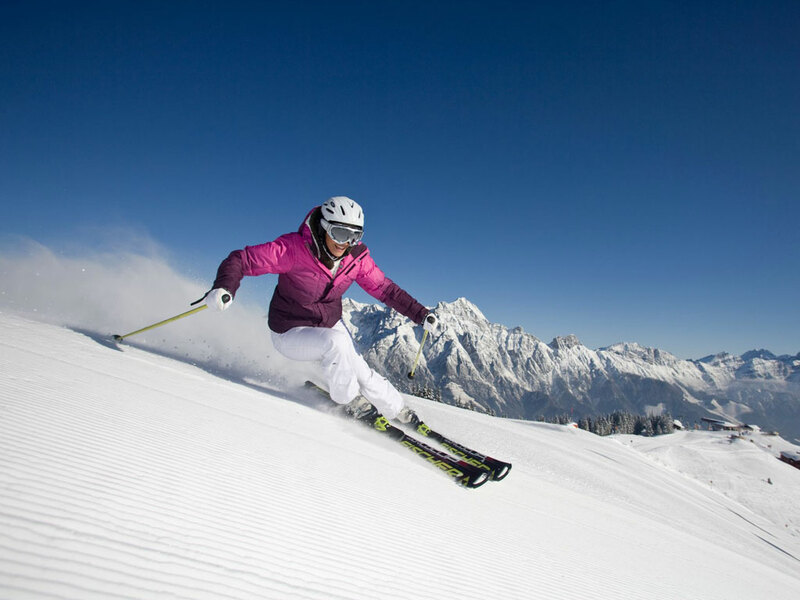 Fieberbrunn has long been renowned for its amazing off-piste skiing. Favourable snow conditions ensure deep powder and lots of it, making the Wildseeloder at Leogang one of the most respected freeride destinations in Europe. If you're not an off-piste person but are still looking for a challenge, the Reckmoos offers a good selection of red and black pistes. Until its link with the Skicircus, Fieberbrunn was considered a bit of a hidden gem, popular with families and with freeriders in the know. 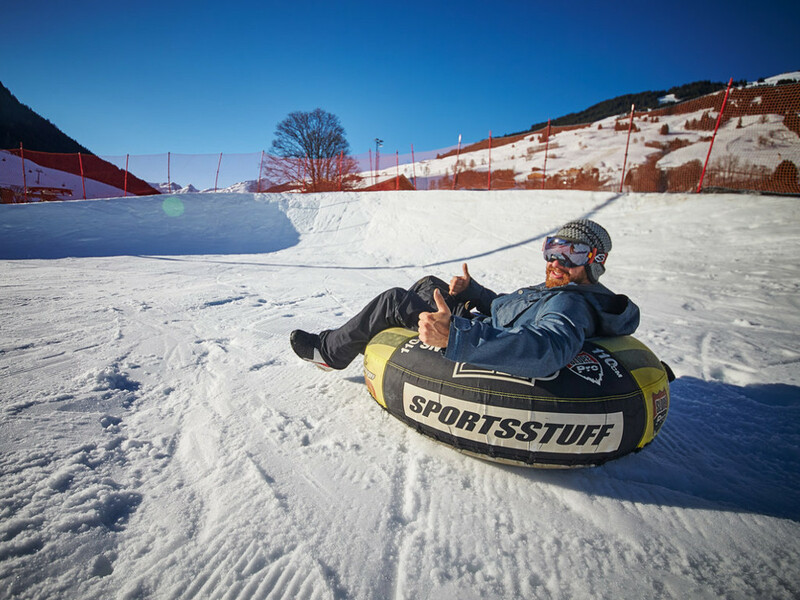 Thanks to the link with the Skicircus, skiers and snowboarders can now enjoy the best of both worlds. 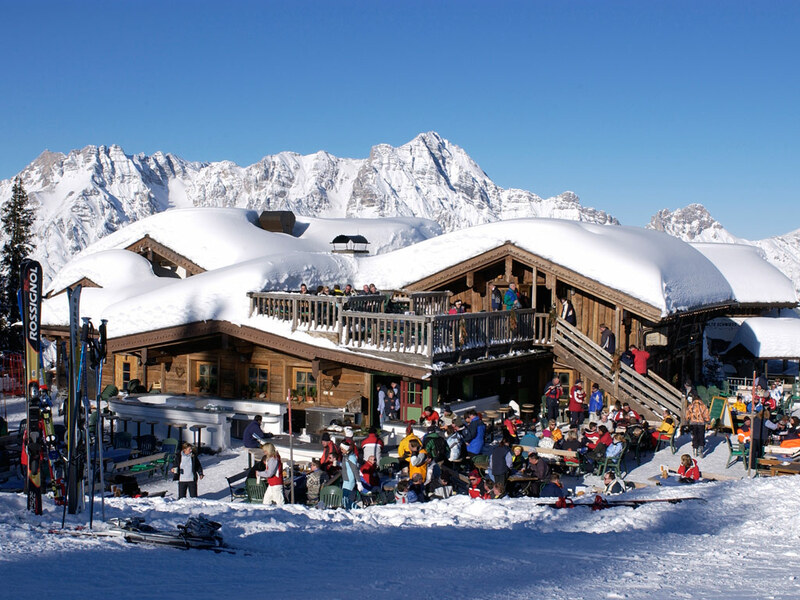 A ski holiday in the Skicircus Saalbach Hinterglemm Leogang Fieberbrunn is synonymous with après-ski, offering more than 50 mountain restaurants plus countless restaurants, cafes and bars in the villages. For an unforgettable après-ski experience, we recommend the Goaßstall, the Hinterhag Alm and the Hendl Fischerei, or the more laid-back bars in Fieberbrunn such as the Biwak or the S4 Alm. The Skicircus also has a jam-packed event calendar with annual events including Rave on Snow, the BERGFESTival, the Freeride World Tour in Fieberbrunn and the White Pearl Mountain Days. 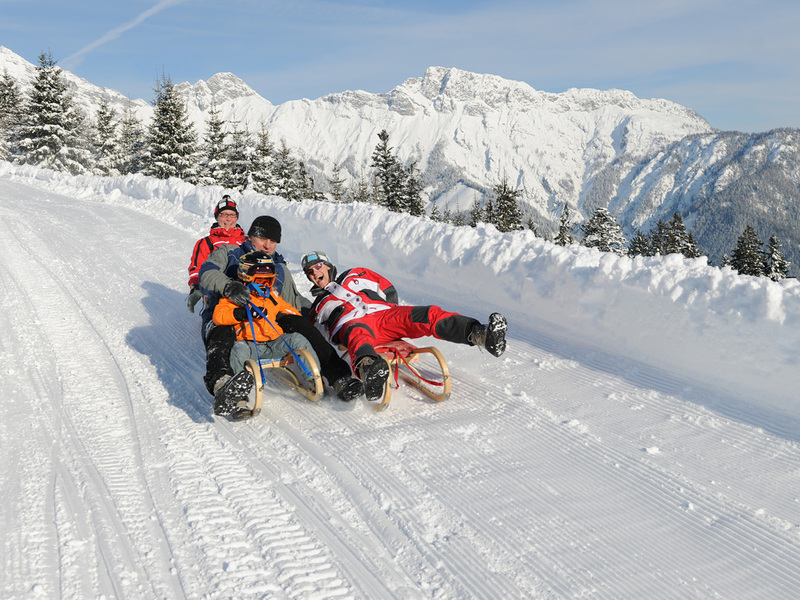 Leogang enjoys reliable snow cover and is popular with families thanks to its dedicated children's area. 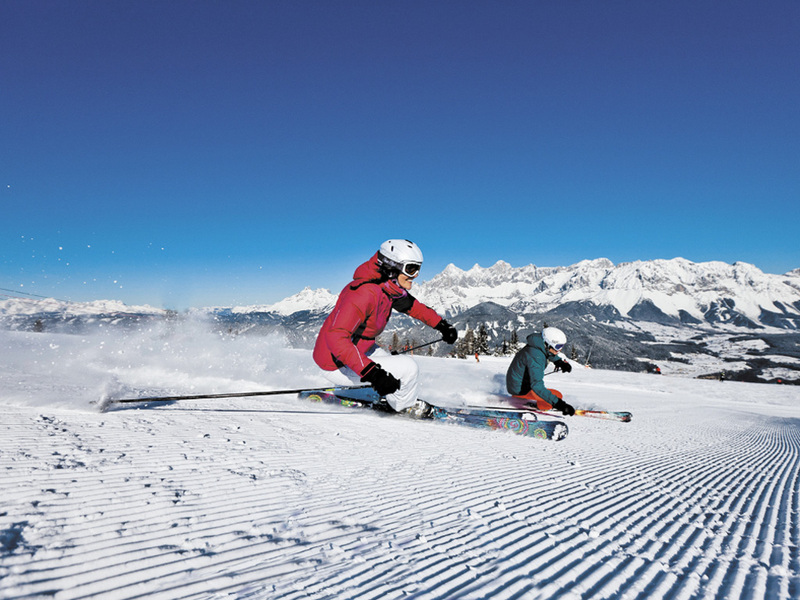 In Leogang you'll also find a toboggan run, cross-country skiing trails and the Nitro Snowpark. 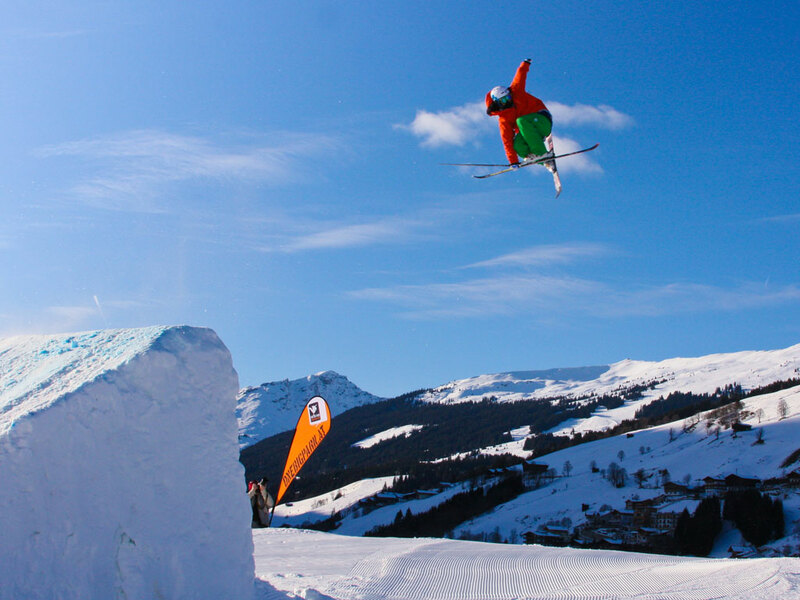 Located next to the Asitzmuldenbahn chairlift, the Nitro Snowpark has regular terrain park features as well as a GoPro bag jump and a Natural Freeride Park where freeriding is enhanced by naturally inspired jumps. 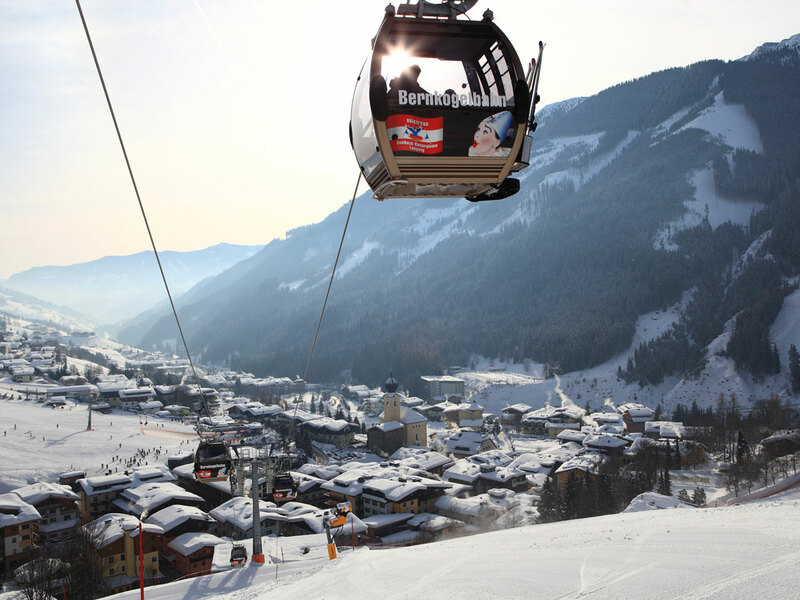 Although Leogang is best-suited to beginner skiers, it's fairly easy to reach the rest of the Skicircus for access to the entire 270km of terrain. 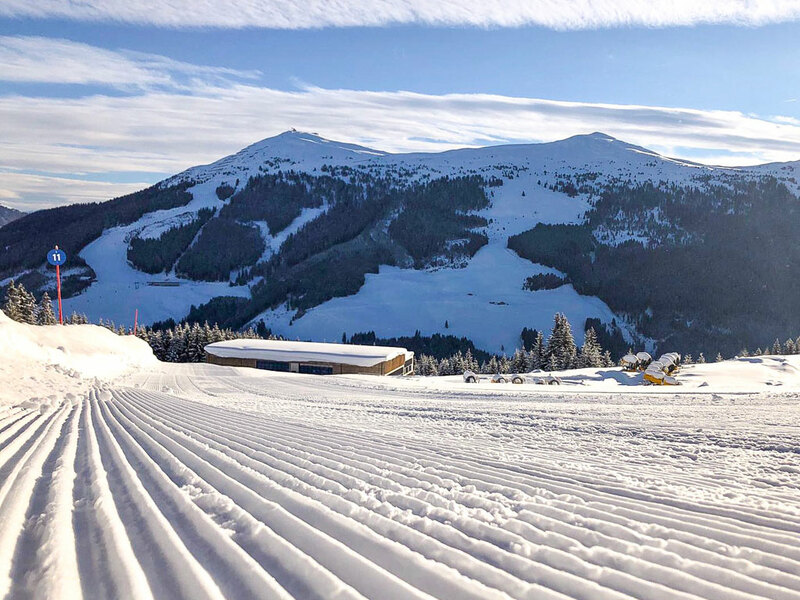 Although some of the connections with the wider Skicircus require navigating some red slopes, it's a lovely blue valley run that leads back into the centre of Leogang. 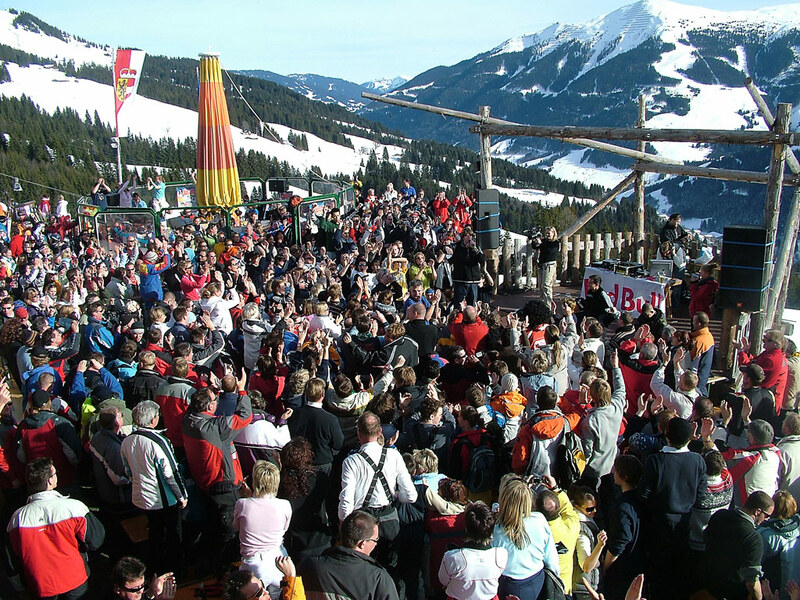 The Skicircus Saalbach Hinterglemm Leogang Fieberbrunn comprises various ski areas with an average altitude of around 2000m. 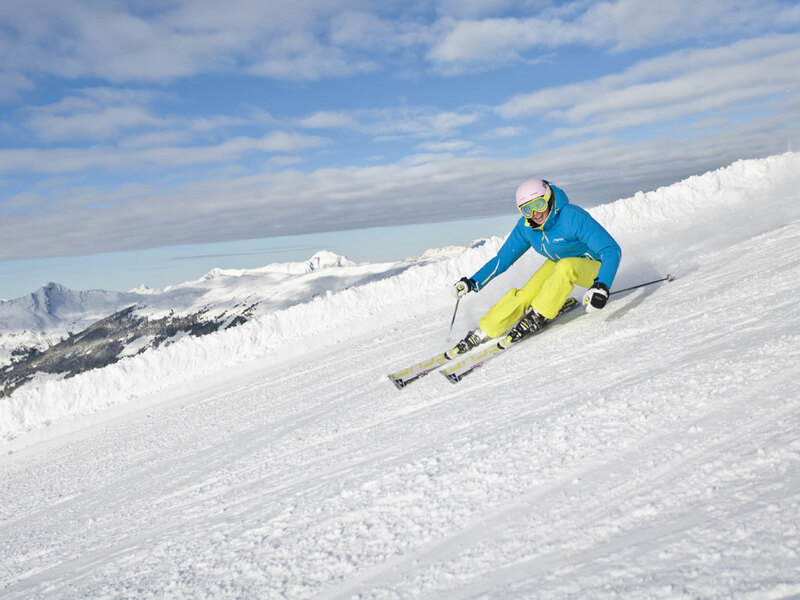 In the Saalbach-Hinterglemm ski area, advanced skiers can tackle the 4km-long valley run from the Schattberg (2096m), or challenge themselves on the steep slopes of the Zwölferkogel (1984m). Skiers and snowboarders who are looking for something more relaxing can head towards the Kohlmaiskopf (1794m) or the Reiterkogel (1819m). The panoramic viewpoints at the Spielberghorn (2044m) and the Leoganger Steinberge (2634m) are not to be missed. Neighbouring Viehhofen offers no direct access to the ski area, but is connected to the Schönleitenbahn via ski bus. 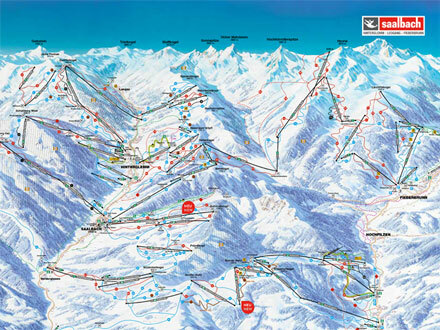 The information applies for the ski area of Skicircus Saalbach Hinterglemm Leogang Fieberbrunn. During the ski season information is updated daily.